There are many fun watersports to enjoy during your vacation in Belize. Flyboarding is the one that everybody has been buzzing about, it is new and super fun for the adrenaline junkies. 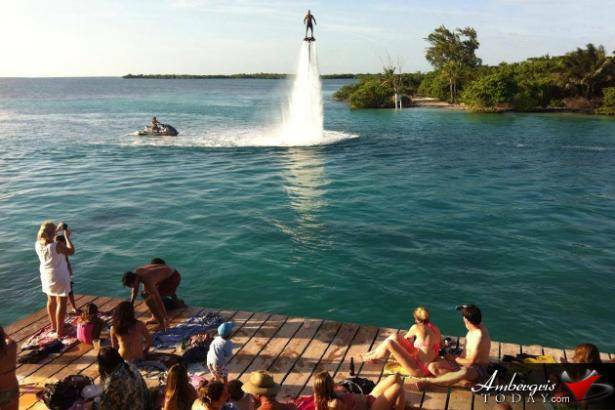 The picture above shows tourists enjoying a nice day under the sun while being entertained by the professional flyboaders at the famous split on the island of Caye Caulker.